Nicolas Diguiny prefers to play with his right foot, as do 76% of his teammates. Born on May 31, 1988, Nicolas Diguiny's age of 30 exceeds his team's mean. Back in 2018, French midfielder Nicolas Diguiny's contract with Aris Thessaloniki FC (Greece), the club he is still a member of, took effect. With a height of 1.79m, he compares with Aris Thessaloniki FC's mean tallness. He played 25 matches this season. 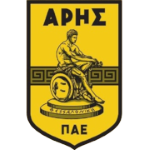 These days, Nicolas Diguiny's team Aris Thessaloniki FC comes fifth place in Super League (Greece) plus third place in group Gr. 4 of Greece Cup (Greece). He played for Vannes OC, Atromitos Athens, Poire Sur Vie and Panthrakikos FC Komotini before ending up in Aris Thessaloniki FC. He impressed in Super League 17/18 (Greece), reaching his personal record of goals. 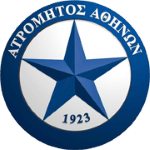 Aris Thessaloniki FC has 16 more midfielders in their squad, namely Lefteris Intzoglou, Mateo Garcia, Kyriakos Savvidis, Dimitris Anakoglou, Manolis Tzanakakis, Nicolas Martinez, Martin Tonso, Charalambos Pavlidis, Manolis Siopis, Migjen Basha, Hugo Sousa, Bruno Gama, Paraskevas Kallidis, Javier Matilla, Haris Stamboulidis and Giannis Fetfatzidis. Nicolas Diguiny received 25 penalties throughout his entire career (all yellow). This leads to an average of 2.27 cards per season. In the current playtime, he caught 4 yellow cards. His shortest spell with a club currently counts ten months in his latest side. His record stay with a club is Vannes OC (France) with seven years and 11 months. Altogether, Nicolas Diguiny was substituted in 17 and out 39 times. Currently, he left the pit more than he entered it which holds true for last season as well. He plays with the jersey number 7. Weighing 160.94lb, he measures 4lb less than the average player on Aris Thessaloniki FC. Nicolas Diguiny is enjoying a great Greece Cup 18/19 (Greece) season so far, netting eight times (40% of his team's sum) and initializing no goals. This leads to roughly 0.32 scores per match in the resent season. One could say he translated to a slighlty diminished form compared to last year yielding a per-match-quota of 0.33 goals and 0 assists. Yesterday he played his latest match. So far this season, he won 50% in Super League and tied 33% of Aris Thessaloniki FC's matches in Greece Cup. They also managed to win 2 fixtures in a row in Super League.